The kingdom of God is all about family. 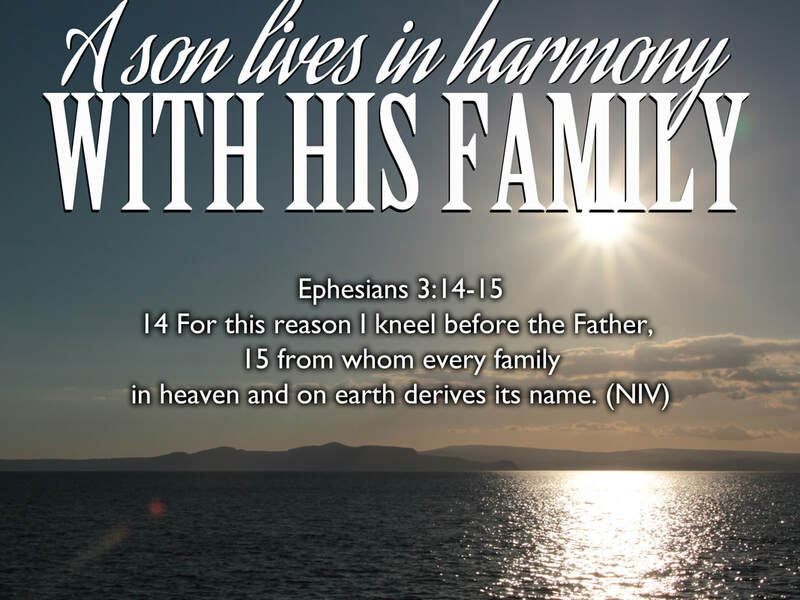 Ephesians 4:4-6 tells us that there is one God and Father of us all. Romans 8:29 says that Jesus is the firstborn of many brothers and sisters. Hebrews 2:11 says that Jesus is not ashamed to call us His brothers and sisters. If we don't fully grasp the kingdom from a family perspective, we may struggle to fully embrace all that our Heavenly Dad has intended for us. I come from a small family. Just my big brother and I. While I will admit to a little sibling rivalry growing up, I am very proud of my brother and all that he has accomplished. I think that he borders on being a genius. Unforeseen circumstances caused him not to be able to graduate high school, but he went on to teach himself multiple computer languages and eventually rose to being one of the tops in his field in software development. I am happy to boast about his accomplishments even though he wouldn't boast about them himself. The reason that I am so proud of him is simply because he is my big brother. I have walked alongside him all my life and am very excited when he gets blessed. I am sure that he feels the same way about me too. Self-sacrificing family love is at the core of the gospel. The disciples went from being servants, to becoming Jesus' friends (John 15:15), to then being called His brothers (John 20:17) and co-heirs of the entire family estate (Romans 8:17). The reason we call each other 'brother' and 'sister' in church is because we have the same Father. Brothers and sisters are intended to cheer each other on and support one another. There is no greater pain to a father's heart then when he sees his children fighting with each other. I can only imagine what we feel is just a shadow of what our Heavenly Father feels when He sees His kids not playing nicely with each other. Church splits, thousands of denominations, and more sibling rivalry than you can count. This is the legacy of the family of God on earth today. Sons are meant to live in harmony with their brothers. Those who struggle with an orphan heart don't feel the incredible blessing of being part of such a rich and diverse family. They see themselves as living in an orphan world, filled with other orphans struggling to compete for the few crumbs that fall from the Father's table. When another person succeeds (perhaps in a competing church), they struggle to be truly happy for them. There might even be a hint of jealousy... God forbid! The truth is that there is plenty of our Father's inheritance to go around for all of us. The unique blessings that are stored up in heaven for each one of us are safe and secure and belong to us. The more that we understand the richness of our own inheritance in Christ, the less we will covet that which belongs to another brother or sister. There is an abundance of food at our Father's table... more than enough for all of us! My prayer today is that we would ask our Heavenly Father for a greater revelation that we belong to Him and that we are His beloved child. I pray that the extravagant, unending, eternal love of our Father and our Elder Brother would download on each one of us afresh today. May each one of us see with eternal eyes, the vast inheritance that is stored up in heaven for us simply because we are our Father's kids.